Based on a survey conducted amongst 514 scaleup CEOs, the report offers insight into the views of some of the UK’s most ambitious growing businesses from a range of sectors, combined with a variety of industry and government datasets. Here we’ve pulled out five key findings from the 288-page report. While government schemes and strategies are crucial to supporting and fostering scaleup businesses in the UK, local infrastructure needs focus too. The government's Industrial Strategy, for instance, includes a dedicated action plan to unlock over £20 billion of investment in innovative and high potential businesses, including a £2.5bn investment fund incubated in the Government-owned British Business Bank. But, according to the report, four in ten scaleup leaders still perceive no relevant support available for a company like theirs. The LEP Network’s 38 Growth Hubs are a step towards this, as are the ScaleUp Institute’s own executive education courses. In 2018, the Institute brought together over 60 local leaders, including scaleup businesses from around the UK to understand the ingredients that can foster a world-class scaleup environment in their local area. Scaleup companies are increasingly being included as specific components of local and national strategies with ‘scaling up’ embedded into Productivity Reviews and Budget announcements. For scaleup businesses, this is obviously great news, but it’s also great for other companies and organisations in the local area, too. When more scaleups establish and grow, so the universities benefit, the talent pool increases, the city attracts more investment and complementary services grow in parallel. The UK’s scaleup businesses are productive, generating an average of £275,000 per full-time employee, they’re innovative with 4 out of 5 introducing or improving a product or service in the last three years, and they’re diverse with 40% of them having at least one female director. Scaleups help create high-quality jobs with more satisfied employees—employing 3.6m workers and creating around 3,000 new jobs per week. 64% of scaleups offer apprenticeships, internships or work experience opportunities to young people - with apprenticeships offered at twice the rate of the average business. These businesses also provide links with the rest of the world: 61% employ EU citizens, while 35% hire from outside the EU. And these links are not just talent-based, but financial too: two-thirds are involved in international trade, with 59% trading with the EU, and 53% with non-EU countries. While numerous factors support growth for scaleups, 57% of respondents cited “developing the leadership and management skills of the senior team” as one of their top three responses. Support from larger corporates and private sector-led sources is less important to these leaders than local support, recruiting those with experience in scaling a business into their leadership team, and access to a peer network of people who have successfully grown their business. Mentorship is also highly valued. 55% of scaleups currently have a mentor - but of those who don’t, 24% state that it is because they are not sure how or where to find one. This year, for the first time, Vistage has been endorsed by the ScaleUp Institute. 35% of our current members are scaleups, with a further 20% actively planning to scale - and all of them are benefitting from our peer support network. In the ScaleUp Institute’s 2018 survey, 80% of scaleup business leaders surveyed said that attracting the right skills and experience was the most significant barrier to their future growth. While many do recruit young people in some form, the results revealed that more would do so if there were more natural connections with schools and universities. Brexit could prove a huge stumbling block to UK scaleups looking to grow: with 61% employing personnel from EU nations, two-thirds of survey respondents stated that it was either vital or very important that they could continue to do so in the future. When it comes to business performance, 69% of scaleups believe that it is realistic to expect growth of 20%+ each year: a sign that they are hungry for further development. However, this hunger is underpinned by a number of worries. 48% are concerned about whether the UK will be a good location for a business in the future, with this fear no doubt driven by impending Brexit plans. There are also regional concerns, with 44% feeling that the majority of business and money advice is provided solely to London and the South East, fuelling fears that other parts of the UK are underrepresented. As we saw earlier, mentorship and leadership development are key for scaleup leaders, but ScaleUp Institute survey responses reveal that 40% feel that there is very little support available for businesses like theirs. One of the key challenges over the coming years will be to highlight programmes suitable for specific businesses’ needs, which the ScaleUp Institute is aiming to do with their endorsement of individual initiatives and programmes that demonstrate measurable benefits to their members. 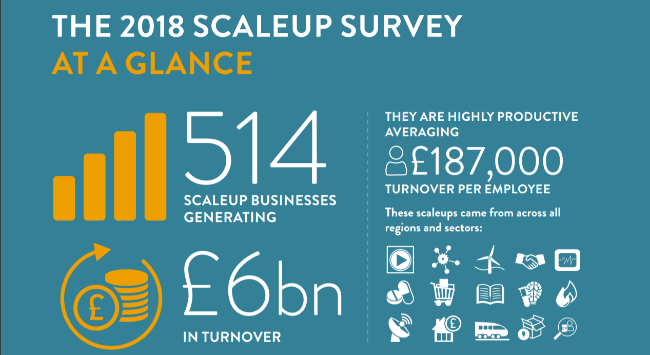 Compared with previous years’ reports, the 2018 Annual ScaleUp Review reveals that the barriers to growth that scaleup businesses have historically faced are being broken down, but that there is still work to do. 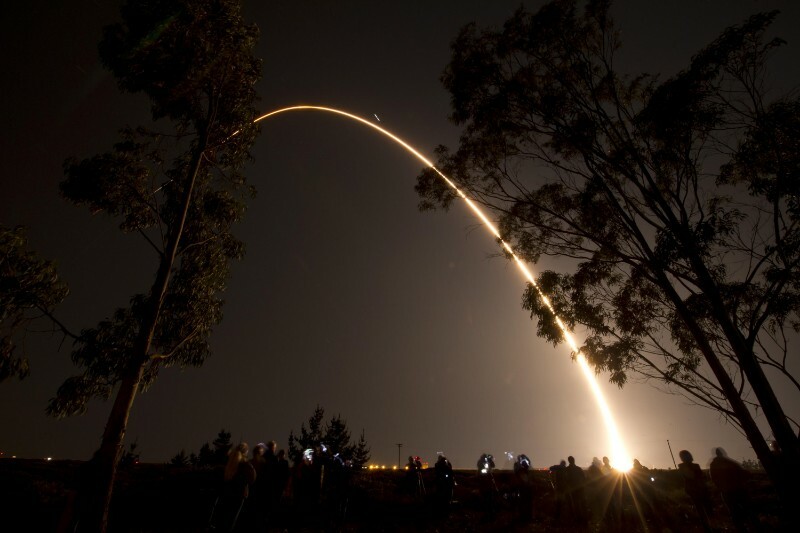 Scaleups are undoubtedly key to the UK economy, but with Brexit and the likelihood of further economic uncertainty looming, and with scaleup leaders seeking both access to talent and greater support, it’s clear that more needs to be done at both local and national level to ensure scaleup businesses can continue to flourish. For the full Scaleup Institute's Annual Scale Review, head here.